Sofia is the biggest city in Bulgaria and the country's capital. The town center, however, is compact and packed with archaeological sites, architectural, historical and cultural monuments - all in a short walking distance from each other. In just a couple of hours our tour will literary trace the timeline of one of the oldest cities in Europe. All of Sofia's major highlights will be presented to you in a comprehensive, interactive and memorable way. Come with us on this walking tour to enjoy, discover, explore and be intrigued by more than 25 top tourist sites well covered in our itinerary. 4. Sofia University "St. Kliment Ohridski"
...other sites, which ones - you will discover only after making a booking :). The tour's duration is 2.5-3 hours. It starts from the main entrance of Alexander Nevski Cathedral (close to Sofia University Metro Station) at a time convenient to you. The end point of the tour is at the main entrance of St. Nedelia Church (close to Serdica Metro Station). Group price: 95 Euro for a group size up to 25 persons. 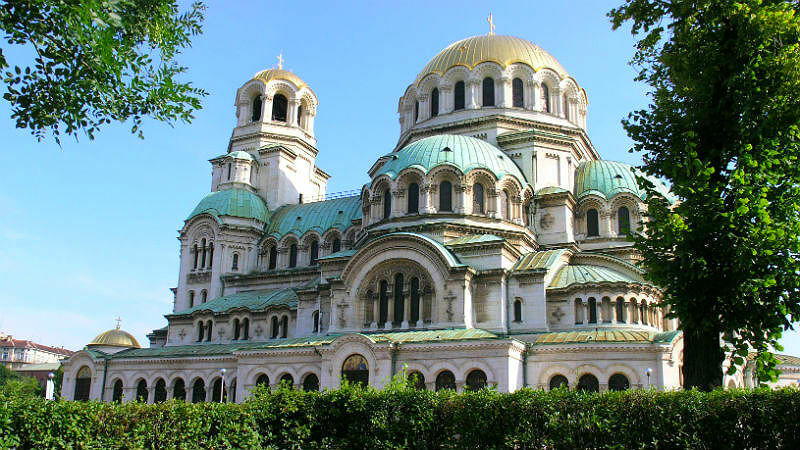 The price includes: Sofia's city center walking Tour with an English speaking guide. Please enquire if you need transfers to/from your hotel or a guidance in another language (eg Italian, Greek, Spanish etc).